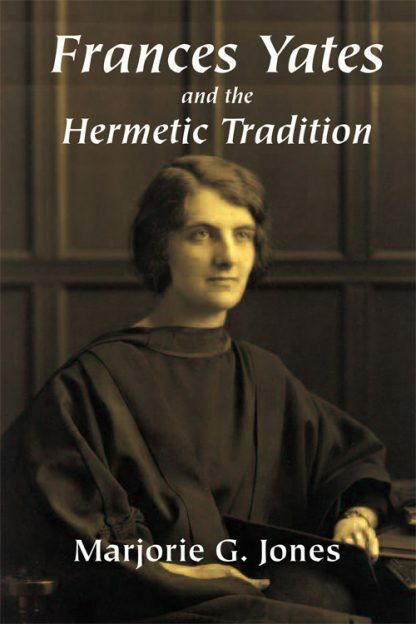 This is the first full-length biography of British historian Frances Yates, author of such acclaimed works as Giordano Bruno and The Hermetic Tradition and The Art of Memory, one of the most influential nonfiction books of the twentieth century. Jones's book explores Yates' remarkable life and career and her interest in the mysterious figure of Giordano Bruno and the influence of the Hermetic tradition on the culture of the Renaissance. Her revolutionary way of viewing history, literature, art, and the theater as integral parts of the cultural picture of the time period did much to shape modern interdisciplinary approaches to history and literary criticism. Jones focuses not only on the particulars of Yates' life, but also sheds light on the tradition of female historians of her time and their contributions to Renaissance scholarship. In addition to her insightful commentary on Yates' academic work, Jones quotes from Frances' diaries and the writings of those who were close to her, to shed light on Yates' private life. This biography is significant for those with an interest in literary criticism, women's history, scientific history, or the intellectual atmosphere of postwar Britain, as well as those interested in the Hermetic tradition. Marjorie G. Jones, author of Frances Yates and the Hermetic Tradition and The Life and Times of Mary Vaux Walcott, is a graduate of Wheaton College, the Rutgers School of Law, and the Graduate Faculty of the New School in NYC, where she wrote her thesis on the unpublished papers of Frances Yates. For 20 years she taught history and government at Mercy College, including courses for its degree program at Sing Sing prison. Currently she resides with her husband in Center City, Philadelphia.